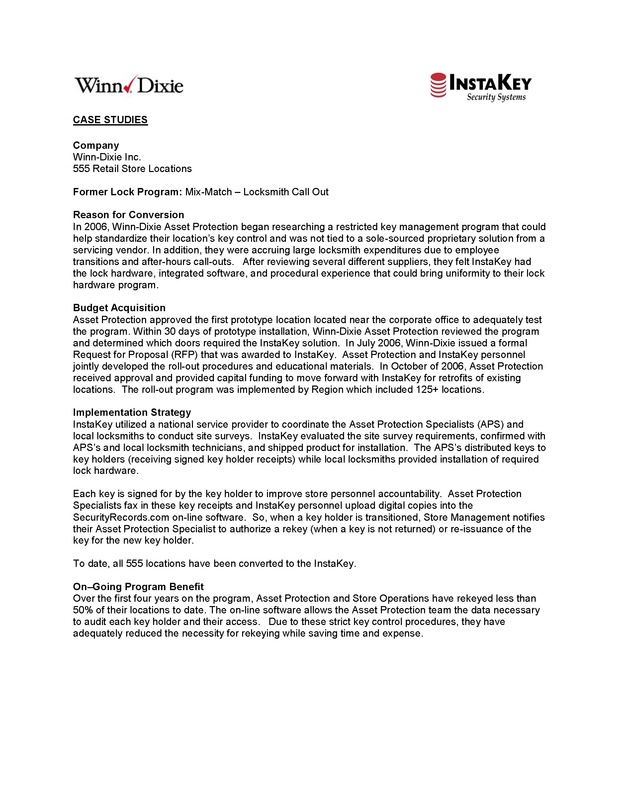 In 2006, Winn-Dixie Asset Protection began researching a restricted key management program that could help standardize their location’s key control and was not tied to a sole-sourced proprietary solution from a servicing vendor. In addition, they were accruing large locksmith expenditures due to employee transitions and after-hours call-outs. After reviewing several different suppliers, they felt InstaKey had the lock hardware, integrated software, and procedural experience that could bring uniformity to their lock hardware program.